I separated from active duty eight and a half years ago. Last week I joined the Illinois Air National Guard. After eight and a half years as a civilian, I am back in the armed forces. And I couldn’t be more excited! I know such a long break in service isn’t the normal situation, so I’ll be happy to share why I made the decision, why it took so long for me to decide to serve again, and why in the long run, it looks like it could be a great move for my family and I. Why I didn’t join the Guard/Reserves right away. I’ll start with my active duty time (1999-2006). I had an amazing first tour, and I hit every benchmark and goal I set for myself, and then some. I was stationed overseas at RAF Lakenheath in the UK, I had the opportunity to participate in a year-long special duty assignment that took me literally around the world, I deployed 5 times, I hit every promotion the first time, and I completed my college degree while on active duty. The only goal I had in mind that I didn’t accomplish was becoming an officer. But I had my degree and would have been able to put together a competitive officer package. I am confident that had I stayed on active duty, I would have been able to achieve that goal as well. My first enlistment was for a six-year term, and I extended six months to deploy one more time to help our squadron’s manning situation (they needed me for one more deployment and I didn’t have immediate post-military plans, so it worked out well for both sides). After the six month extension, I had to decide on reenlisting in a job I didn’t want to continue working in (aircraft maintenance with a high deployment rate) or cross-train into a new career field, which would delay the time it would take to put together an officer package. At that point, I had served 6.5 years in a high ops tempo environment and I was ready for a break. I wanted to slow things down, start a family, and move on to the next phase of my career. I did those things. I separated from the military in 2006, got married, found a job with a federal contractor (working on Air Force logistics projects at Wright-Patterson AFB), and slowed down to enjoy life as a civilian. I was still around the military mission—I just wasn’t wearing a military uniform any longer. Eventually, that too passed. I became an entrepreneur, started a business, and for the last 4.5 years, I have been self-employed and working from home. For many people that would be “the life.” And it is great. I get to spend a lot of time with my family and I get to watch my two young daughters grow up. I wouldn’t trade it for the world! But something has been missing. I miss being around other professional peers. I miss wearing the uniform and being part of something larger than myself. I miss the mission and the camaraderie. The people. All of it. Well, maybe not all of it! But I missed the military enough to consider serving again, at least on a part-time basis. There are several reasons I didn’t pursue the Guard or Reserves sooner. The first is that I was just plain burnt out from the time I served. I knew that if I joined the Guard or Reserves I would likely deploy again. I needed that break from service and from deployments. But I also thought I was ineligible to join because I had received a VA service-connected disability rating due to some injuries I had while I was on active duty (I had two knee surgeries). I thought that receiving disability compensation pay made me ineligible to serve again in the Guard or Reserves. I later discovered this was not the case – you can serve in the Guard or Reserves if you have a VA service-connected disability rating, provided you can get medical clearance. But there are some stipulations. For example, you can’t receive concurrent pay for the same period. In other words, you can’t earn disability compensation pay on the same day you earn a military paycheck. You can still remain on the payroll for both, you just have to waive the pay for the period you served concurrently. Most people choose to receive their military pay and waive the VA disability pay. So if you receive pay for a total of 60 days in the Guard/Reserves, you fill out a form at the end of the year to waive the VA pay and the VA will stop your pay for the next 60 days, then your VA pay resumes. Click on the link above for a full explanation and links to the relevant laws. And don’t let a VA disability rating stop you from serving in the Guard or Reserves if you think it might be a good fit for you! Two years ago, after several lengthy discussions with my wife, I started the process of joining the Air National Guard. I even wrote about it here. But it was not to be. At least, not on my terms or on my timeline. It turns out I needed to get some waivers to rejoin the military. And this isn’t a topic that you can easily navigate on your own unless you know what you are doing, or you know what to look for. I didn’t have a clue at the time. But I learned! The first recruiter I spoke with sent my DD Form 2807-2 Medical Prescreen of Medical History Report (PDF) to MEPS where it was promptly returned with a PDQ (permanent disqualification) for medical reasons. As I mentioned, I had a couple of minor knee surgeries while I was on active duty, and a couple other small issues. None of the medical issues were serious, but they still required waivers before I could rejoin the military. Unfortunately, at that time I didn’t know how the waiver process worked. The recruiter informed me that the PDQ meant I could never serve in the military again. He either didn’t know what he was doing, or he didn’t want to put in the effort to help me join the unit. I was devastated. It felt horrible to be told that I wasn’t fit to serve. That my country didn’t need me or want me. So for the next half a year, I did nothing with my application. I was disappointed, but since the recruiter told me I was ineligible to serve, I took his response at face value. That was a mistake on my part. After about six months, I began researching medical waivers. I knew the medical issues I had weren’t very serious, so I wanted to see what could be done. The first thing I learned was a PDQ doesn’t mean you are permanently disqualified from serving again. It just means the issue is a permanent medical issue that cannot change. For example, I had arthroscopic knee surgery on each knee. That is a minor surgery in most cases (some NFL players return to game action 2-4 weeks after surgery). But it’s a permanent issue because you can’t undo the surgery. So you need a waiver. On the flip side, something like a broken finger would be a Temporary Disqualification – you can’t go through basic training or join the military with a broken bone, but it will heal, thus the temporary rating. I began reading various websites and forums and official regs, like the DODI (Medical Standards for Appointment, Enlistment, or Induction in the Military Services, PDF). I learned how to research things like PULHES codes and other fun things. The more I learned, the more I realized each of the medical conditions I had was eligible for a waiver. I’ll write more about getting medical waivers in another article. Suffice it to say I was determined to give it another shot. Update: Here is an article and podcast about getting medical waivers to join the military. This covers everything I learned in the process. The next attempt at joining went much better. About a year after my first attempt to join the ANG, I contacted a recruiter at a different unit. I was able to explain everything in great detail during our first conversation. I explained that I had some medical issues on my DD Form 2807-2 and I would need medical waivers to join – but each item should be waiverable. There were no other outstanding issues that would prevent me from serving. I worked with two awesome recruiters to create a plan and we got to work. My main goal was setting up appointments with medical specialists to get examinations and letters from them stating I was medically fit to serve. This took a couple months to arrange everything, and it cost a little money of out my pocket (the medical examinations are on the applicant’s dime). But the time and expense were worth it, just for the chance of serving again. Finally, we had to schedule a visit to MEPS and apply for waivers. The paperwork went back and forth a couple times. The medical pre-screen was again denied, which we knew would happen. So I had to get waivers just to visit MEPS. Then MEPS declined my entry into the military (as we expected) but recommended waivers based on the letters from my doctors and from my physical exam. Then we had to send my medical package to the Air National Guard Surgeon General’s Office, where they determine the waiver status. It honestly didn’t take as long as it sounds like it would take. The longest part of the process was actually scheduling the medical appointments on my end. The parts with MEPS and applying for the waivers took anywhere from a couple days to a couple weeks. I can’t say how happy I was when I received word that the waivers were approved and I was cleared to join the ANG. It was almost a two-year journey and a bit of a roller coaster at that. It was awesome to hear I was approved to serve again! The next step was coordinating with my recruiter to find a job I was eligible to work and do some interviews. We narrowed down the list of jobs that I could do (based on rank, qualifications, ASVAB scores, etc.). Then we set up interviews. I sent in my resume, some letters of recommendation, and drove down to do the unit for some interviews. I took a week or two to decide which job was the best fit. Then we set up the enlistment date, and last week I drove down and swore in. I met my supervisor then spent the rest of the day doing my security clearance paperwork and filling out all kinds of forms – Record of Emergency Data, SGLI paperwork, I opened a TSP account, etc. My first drill will be the first weekend of September. It was a long journey, but I’m excited that it ended well. The unit I joined is located 3 hours away. That makes for a lengthy monthly commute, but I don’t mind it too much. I work from home, so I don’t have a daily commute. I actually enjoy getting behind the wheel for a 3-hour drive once and awhile. The unit also puts me up in a hotel for drill weekends, so the biggest out of pocket expense is gas and food. But I can claim a mileage deduction when I file my taxes each year, at a rate of $0.56 per mile. So that will more than make up for the cost of gas each trip. The biggest sacrifice is being away from my family, but that too is manageable. The standard “one weekend a month, two weeks a year” schedule will apply to me. As will some additional training for my new career field. I will be required to attend a 7-week tech school to learn how to perform y new job. But that is a one-time event, so it isn’t something we have to do each year. The monthly drills are planned a year in advance so we can plan much of our family schedule around that. And the two-week annual drills can be worked around as well. The biggest concern I have is the possibility of being deployed. While it’s a remote possibility, it does exist, and it is something I am prepared to do if called upon (I’ve already done 5 of them, so I know the drill!). And this is the reality every military member faces. So it’s not something I jumped into without knowing the drill. In my opinion, the benefits far outweigh the costs. At the base level, there is the pay that comes with joining the Guard. I will retain my old rank of E-5 (with the opportunity to promote). So my drill pay comes out to around $380 per month and about $1,450 for the two-week annual training period. The total for the year comes out to about $6,000 (here is a Drill Pay calculator for those who are interested in running some numbers based on their situation). It’s not a huge sum of money, but it’s also nothing to laugh at. I also took on an E-7 billet, so there is room for promotion after I complete my upgrade training and time in grade/service requirements. The promotions won’t happen right away and aren’t guaranteed, but the potential is there. Update: I commissioned in the spring of 2017. This comes with a big change in responsibility and pay. It’s been a lifelong goal, and I’m proud to have accomplished this! Health Insurance: TRICARE Reserve Select is one of the most affordable health insurance plans I’ve seen. At the time of this writing, it costs about $46 per month for an individual or $221 for a family plan. It also has low deductibles and out of pocket expenses. I will write a more in-depth article about TRICARE Reserve Select. Overall, it’s an incredibly valuable benefit. Education Benefits: The State of Illinois is one of the few states that offers 100% tuition assistance for courses at state universities. I have a Bachelor’s Degree, but I may take advantage of this to complete an MBA or other Master’s Degree program. It will be even better if I am able to transfer my Post-9/11 GI Bill to my daughters. I believe I have to serve for one year before I am eligible to begin using the benefits, but that’s OK. I signed a 3-year enlistment contract, so I have time to make plans. Possible Pension & TRICARE for Life: You need 20 good years to qualify for a pension from the Guard or Reserves. Right now I should have about 7 good years, which means I would need at least 13 more good years to qualify for retirement and a pension. And the pension wouldn’t start until I reach age 60 (some people are eligible for an early retirement from the Guard / Reserves based on active duty time served after 2008). I am 34 now, which means I would need to stay in uniform until at least age 47, and perhaps longer, depending on how things work out. I can’t look that far into the future, so for now, I will take it one enlistment at a time. But I am intrigued about the possibility of earning a military retirement and the pension, health care coverage, and other benefits that go with it. Intangible Benefits: As I mentioned, I miss wearing the uniform and being an active part of the military community and everything that goes with it. Being held to a higher physical fitness standard than I have held for myself over the last few years is another benefit. I like that I will be required to stay in shape and have at least one physical fitness test a year. It will keep me moving in the right direction! Overall, I’m very excited about the opportunity of serving again. It’s something I have missed for a long time, and I hope I enjoy it as much as I think I will. I know there will be difficult times. The time away from my family will be the most difficult part of serving again. But it will be manageable. The opportunity to serve again means a lot to me. And I look forward to it. 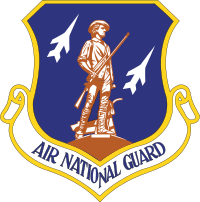 Air National Guard Logo courtesy Wikimedia Commons. Previous Article: ←Can You Join the Guard or Reserves if You Have a VA Service-Connected Disability Rating? Congratulations Ryan!!!! The Tricare Reserve Select is SO WELL WORTH IT!!! So many people complain about it but it’s the best insurance we’ve ever had AND the most affordable!! Our daughter has JIA (arthritis) and needs many specialists, treatments, and medications and we pay so very little out of pocket! As for the time away from the family for training and AT, it’s not the greatest thing ever and I’m sure it’s harder on the kids but I have to say my husband and I have found ways to use it to our advantage! Absence does make the heart grow fonder and we’ve learned to be creative, I’d have to say I’ve gone from the woman who was kicking and screaming the first AT to actually saying it enriches our marriage! I don’t know that my husband would agree but that’s only because he’s sleeping in a tent for two weeks, I’m still cozy in my bed! haha! And you forgot to mention the military discounts! I pray your enlistment gives you the benefits and fulfillment you’ve been seeking and thank you again for laying your life on the line for your country! Thanks for the kind words, Juli! And thank you for the feedback on Tricare Reserve Select. My wife and I plan on reviewing the plan soon and making a decision on it. I’m glad it is working out well for your family! I’m sure the time away from my family will have its pros and cons. I’m already thinking of ways we can make it fun for everyone such as going out to eat as a family before I head off for drill weekends, or making video recordings of myself reading books for my girls so they can watch them while I’m away. I’m sure we’ll come up with more things. I just want to ensure the entire family is behind me on this. Thanks for your service as well, and please let me know if there is anything I can do for you. Congrats! It’s always great to serve, I have often thought about going back into the Army but I had a lot of concerns that you had going back to the air national guard. For me, as an officer the reserves took up more time than one weekend a month and two weeks out of the year. Thanks, Marvin! I understand the time commitment, especially for officers, and senior enlisted. I was an E-5 when I separated, so my additional duties and areas of responsibility will be limited at this point. I am also cross-training into a new career field that is less-likely to deploy compared to my previous job. It’s also a desk job, as opposed to working on the flight-line where I was exposed to the elements in my previous job. There is no way to isolate oneself from the possibility of being activated or mobilized, but hopefully things will be much different for me if it happens now, compared to my previous career field, when I deployed frequently. Thanks for your comment, and your service! Ryan……..congratulations……you have made a good choice for a lot of reasons. Current financial, healthcare, and retirement benefits to name a few. Of course, there will be times when drill or annual training will conflict with family and family plans……but life isn’t perfect. The camaraderie, sense of serving and unique experiences that the military provides are things that have no price tag. Having served 2 years of active duty and 15 years each in the Army Reserve and Ohio Army National Guard have provided the benefits I mentioned above. The time …..I don’t know where it went……but, alas, I am retired and enjoying the memories and retirement benefits. As an aside, an additional benefit is being thanked for my service……not something I experienced when I returned from RVN in 1968. In closing, Ryan, thank you for your past service, present and future service and for you perseverance to follow your goals. We need more men and women with your commitment, motivation and dedication! Thanks for the kind words, Daniel. It’s always a pleasure speaking with other veterans. It’s nice to know you immediately have something in common with so many other people who have also worn the uniform. I can’t say that I’ll serve for a total of 32 years. But I do hope to stay in for many years to come. Thanks for your service! Ryan, I’ve been doing the exact same process for about 5 years off and on. The last year was with a recruiter that actually pushed my paperwork through. I’ve got a 10% SCD and am chasing the benefits (pension, health, tuition) at now age 39. I still haven’t made my final decision as to whether or not I’ll go through with this but I needed to go through the process to get to my waiver being approved so I could make an educated decision. 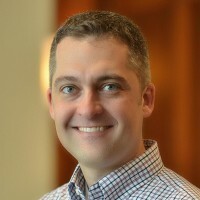 I have a wife and two kids to think about as well so deploying is a MAJOR concern – more financially than anything else. I would be an E4 with 3 years of service but almost 20 years later out of service I would need 08 pay to keep my finances in order. Great site, BTW! What did you come up with? I am in the same boat. Thanks for writing this article. I’m having to go through the waiver process right now for the Army National Guard due to surgeries I had on my shoulders and this article was very encouraging and informative. My recruiter has been doing a great job so far and I’m maintaining my confidence that I’ll get in. I’ve become very attached to the idea of serving in the Guard and have already started training on my own to prepare for basic. My wife is also very supportive which is a plus. I won’t lie, the disqualification made me nauseated, despite the fact that my recruiter immediately recommended the waiver route and was confident it would work. I also have gone the extra mile like you did and have scheduled appointments, and paid out of pocket, with two different doctors who wrote and signed letters saying my shoulders are fit for service so hopefully that will help. Mary, Thank you for contacting me. I have several articles which will answer a lot of your questions. The biggest, however, is whether or not the military will consider him fit to serve. If he transitions directly from active duty to the Reserves, he can usually go straight in. If there is a long enough break in service, he may have to process through MEPS again. If so, it is probable he would need some medical waivers in order to be able to join. The following articles cover how the process works when serving in the Guard or Reserves with a VA service-connected disability rating, how to get medical waivers to join the military, and how to fill out the paperwork regarding military pay with disability and military compensation. Once he has read and understands these articles, the next step is contacting a recruiter to get the process started. I really enjoyed your blog. Most of the times I read these blogs and I feel less educated than when I even started the read. I’m currently serving AF, and about to separate in 6 months. I’d like to talk further on your transition, your perception of separating, and now being back in. If you had the time, I’d really appreciate any insight. I’ve enjoyed reading your articles and have come away with a lot of new information each time. Joining the Air Guard is something that has been on my heart for some time now. I have had this intense pressure that I have experienced lately, and I keep fighting it, but the more I do the more intense it becomes. This is leading me to believe that it may be a calling. The reason I’ve been resisting is because I am a middle school history teacher and my wife and I have an 8 month old son, and I am afraid that military life could be hard on them…mostly just being gone for BMT, tech school, and possible deployments. I don’t have any prior military experience, but it is something I would be proud to do. I am only 28, in my 6th year of teaching, and just finished my masters in education degree. I honestly don’t know what field I would go into, and there is only 1 unit in my state (Kentucky), so I am not sure what their needs would be. It’s something I’ve been praying about like crazy, and now I’m starting to reach out to others who have served in the Air Guard or who are currently serving. Any insight would be much appreciated, and thank you for your years of service. This is my issue right now. I got out of the Army in 2009 and I am trying to get into the Air Force Reserve (my wife is Air Force active duty). It took me literally 5 years just to find a recruiter willing to work with me knowing I’d need waivers. I finally got one and got the phone call a week ago that the SG temporarily barred me? I don’t easily take no for an answer so I’ve been searching for a way around it. I was discharged for hip issues — they never found anything to blame so I was told to separate, get to the doc and come back. Wow, it’s way harder than that, isn’t it? My wife gives me mock PT tests and I am at 86 points for Air Force standards right now and my current job has me working with dogs anywhere from 5 to 175 lbs (physically lifting and whatnot) so to be denied has me very hurt. My recruiter PCSs next month and I am so paranoid the guy replacing him won’t be willing to help, like all the others I tried. My recruiter is on leave til 4APR so I’m waiting to get the paper trail to see exactly what the issues are. Your articles are giving me hope. Hello Leah, Thank you for contacting me. Check out these articles for more information about joining with a medical condition: (1) join with a VA disability rating, (2) join military with medical waivers. From that point, MEPS will determine if your condition is waiverable, and whether they will see you for the physical at MEPS. Then if all goes well, they would submit your package for a waiver to the Surgeon Generals’ office. I hope this helps. Best of luck, and thank you for your service! I was in a very similar situation as you. I did 6 years in the Navy as a corpsman then I separated and have been out for about 15 years (I am 40 years old). I decided to check out the Air National Guard, and after a very long 1 year wait due to a heart murmur waiver that I needed (even though I got a waiver for my first time in for the same problem), as of this past Wednesday I am now a proud member of the 106th out of Westhampton Beach, Long Island, NY. I am waiting on a date for my school but my first drill is next weekend. My experience with the recruiters was nothing less than fantastic. Thank you so much for sharing your own experience. I wish I had read this a long time ago! Your story is similar to mine. I also served as an HM. Been out for close to 13 years and I’m 37. Can you tell me more about the job selection process? How did that work for you? Did you have to go to medic school again? Boot camp? Hello Andi, Thank you for your comment. You will need to contact a recruiter to find out which jobs are available at your prospective unit. You may have to contact multiple units if you are set on a particular job. If your previous job is open, you may simply be able to go right back into that career field. You shouldn’t have to do boot camp again if you remain in the same service, though you may be required to attend technical training (AIT, tech school, etc.) if you are going into a new career field, or if your certifications and experience level are no longer current. I can’t comment on that, as it will vary by branch of service and your career field. You will have to process through MEPS again. That took some time for me because I needed to obtain medical waivers to join the military again. You may or may not need waivers – that is a case by case basis. You can learn more about the process here – Get medical waivers to join military. The best course of action at this point is to contact a recruiter and get the ball rolling. They can let you know what information they need, which jobs are available, and answer any additional questions you may have. I wish you the best, and thank you for your service! First of all congrats on all of your accomplishments. I just wanted to let you know in reading your blogs about your military journey has me motivated, down right motivated I tell ya…lol. Thanks for sharing as I have been discouraged about going back in the military due to a knee surgery that I had BEFORE I went in the first time. I got a PDQ and have been thinking should I try at it again. That’s was over 5 years ago. I have also just completed my masters degree. But in reading your post, I am encouraged. Thanks. Oh and can I have the name and number to your recruiter or can they put me in touch with some good ones down here in Georgia, that would be great. Thanks again for sharing your story. Hello Mere, Thank you for contacting me, and I’m glad you found this helpful! This article covers joining the military with a medical waiver. It should give you a good idea of how the process works. My recruiter is no longer in the recruiting career field. But any recruiter should be able to handle this. I would start with the article about medical waivers and understand the process going into your application. Expect to have to do a lot of the legwork yourself, such as getting the medical examinations from your own provider, getting a letter from the provider on their letterheard, etc. Once you have all that, then submit the completed Form 2807-2. Then the recruiter will try to set you up with MEPS. The entire process can take awhile, so expect to wait and try to have everything done on your end as quickly as possible. I hope this points you in the right direction! Best of luck with joining the service again, and thank you for your service! Former Air Guard recruiting superintendent here. My best advice is to be persistent. The Air Guard typically only has 8-12 recruiters per state vs. the 85-100 that the Army National Guard usually has. Unfortunately the squeaky wheel gets the grease in many cases. Most recruiters are typically working with anywhere from 30 to 50 applicants at once. I’m not trying to make excuses but just realize that the easier you make it for them the better it will go. The Air Guard is currently trying to make end strength so recruiters tend to focus on low hanging fruit, i.e. High school kids that don’t need waivers or extra prior service paperwork needing tracking down. They usually view prior service guys needing waivers like you described as “gravy” on top of their recruiting goal that they will get to when they get to them. Low priority. It’s unfortunate but it’s the truth, so just be persistent and make it easy on them. I am prior service: 3 years Active Duty Army and 5 years Army reserves. I made some poor decisions to not get my degree in those eight initial years of military service. However, after looking for jobs with just Army experience in Alabama, I have come to the realization I need to finish out my degree and my GI Bill has one year left. I was going to go back Active duty and tried with the Air Force, but due to debt complications, I couldn’t. I told myself that Active Duty Army it is. Like before, they were eager to get me to MEPS, but told me they couldn’t let me see the jobs I qualified so I would have to make up my mind on the spot. I didn’t like it, but it was looking to be my only option until I got a job offer and a phone call from a friend. My friend, who is best friends with an Air Force recruiter, explained to me that I could at least get my foot in the door with the Air National Guard. I looked into it and the unit close to me had the job I wanted. I contacted a recruiter, and she said if my ASVAB was high enough, and it was confirmed that it was, I could enlist for that job. I am heading to MEPS, now. In a way, I am scared it will be just like it was before where I get stuck in a unit with NO brotherhood. Where it is every man for himself, but after reading this article and comments, I am willing to bet that it will be the best unit to serve with thus far. Thank you for writing this, brother. It helped a 28 year old find something to get him out of his funk. My pleasure, Adam. My Air National Guard unit is awesome. I hope you have a similar experience. As for the benefits – there are many. Pay, inexpensive health care, education benefits, working toward retirement, etc. Also – the Post-9/11 GI Bill expires 15 years after you leave military service. So if you qualify for it, which you should based on the amount of active duty time, then you should still have some remaining benefits. Just call the VA and ask what you need to do to verify your eligibility. I wish you the best with joining the Air National Guard! Thank you for providing invaluable information on your website and for your service. My son is a senior in high school and wanted to join the ANG while attending college. He started the process in July…took the ASVAB (great scores) and passed the physical. However, since he had asthma when he was younger, MEPS sent him to chest doctor (their referral) who determined that my son still had mild asthma but he did not see that as a deterrent for joining the military. The MEPS doctor told him that asthma is a disqualifying factor, but had him sign a medical waiver (to prevent him from claiming disability later). The recruiter then sent a waiver to the National Board, ie. Air Guard Surgeon General who disqualified my son. Needless to say, my son is crushed! He REALLY wanted to be part of the military and serve others. So, my question is, is there anything else he can do or is his journey over?